Between August 1949 and October 1949, members of the Constituent Assembly debated the Draft Constitution’s emergency provisions - Draft Articles 275 to 280A (Articles 352 to 360). During these often heated debates, members invoked the constitutional provisions and political experiences of other countries. In total, 12 countries were brought up with the United Kingdom being the most referred to, followed by the United States, Germany and Myanmar. During a discussion around Draft Article 280 (Article 359), H.V. Kamath accused the Drafting Committee of plagiarising the United Kingdom’s Emergency Powers Act, 1920 in a ‘dishonest fashion’. He further added that the provision was ‘dangerous’ and India should do better and not worse than the British government which did not suspend the right to constitutional remedies even during the Second World War. 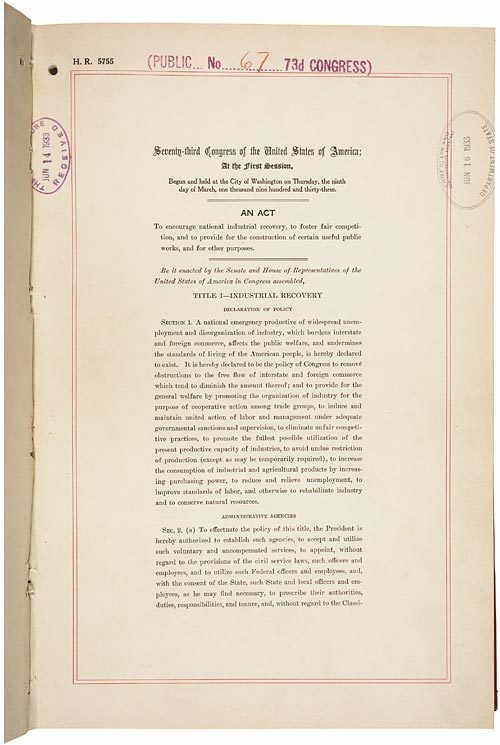 Preamble of the Emergency Powers Act, 1920. On 16th October 1949, Ambedkar introduced Draft Article 280A (Article 360) that dealt with financial emergency. This provision, Ambedkar said, was inspired by the United States’ National Recovery Act, 1933 which was passed as a measure to mitigate the economic consequences of the Great Depression. However, Ambedkar continued, this Act was struck down by the United States Supreme Court. To avoid such a situation in India, Ambedkar wanted the Indian Constitution to explicitly give special powers to the government to tackle any financial emergency – and keep the Supreme Court at bay. Ambedkar once again invoked the American Constitution when Pandit Kunzru, during a discussion around Draft Article 278 (Article 356), claimed that there was no Constitution in the world that allowed the Central government declare an emergency in the event of the failure of the constitutional machinery in a State. While discussing Draft Article 275 (Article 352) that dealt with the promulgation of emergency, H.V. 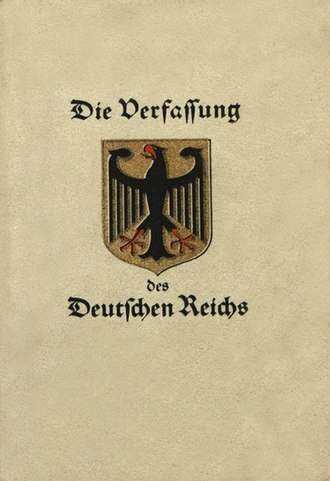 Kamath warned the Assembly about the German experience: Hitler used emergency provisions in the Weimar Constitution to establish a dictatorship. Kamath also brought up Germany to support the Drafting Committee’s decision to insert ‘external aggression’ in Draft Article 275 (Article 352); In the Second World War, Germany invaded Poland without a formal declaration of war. Continuing his Germany centric comparative constitutional history, Kamath argued for strong safeguards against the misuse of emergency powers by the executive. He invoked Article 48 of the Weimar Constitution that provided for the President to notify parliament on all actions taken during an emergency. Also, the Weimar Constitution made it incumbent on the President to revoke emergency if parliament demanded such a measure. Expressing his disappointment over the absence of such a provision in the Indian Constitution, Kamath ended by saying that ‘…unfortunately, we who Profess to build a Sovereign Democratic Republic in India have no use for such safeguards. We trust the executive implicitly. God grant that our trust be justified…”.